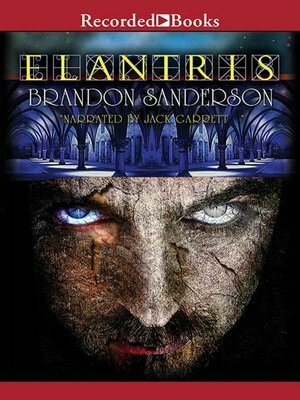 In 2005, Brandon Sanderson debuted with Elantris, an epic fantasy unlike any other then on the market. To celebrate its tenth anniversary, Tor is reissuing Elantris in a special edition, a fresh chance to introduce it to the myriad readers who have since become Sanderson fans. This new edition begins with a preface by author Dan Wells, the first person to read the completed novel, and a new afterword by Sanderson explaining how he came to write the book and its place in the Cosmere, the unified universe of all his Tor novels. Also included is the first book appearance of the short story "The Hope of Elantris," revealing interesting action referred to late in the novel, and an expanded version of the "Ars Arcanum" appendix, with more of the technical details of the book's magic that fans can never get enough of. Elantris was truly a milestone both for Sanderson and for the genre of epic fantasy. It deserves this special treatment, something Tor has done only once before, with Orson Scott Card's Ender's Game. Sanderson fans old and new will be excited to discover it.